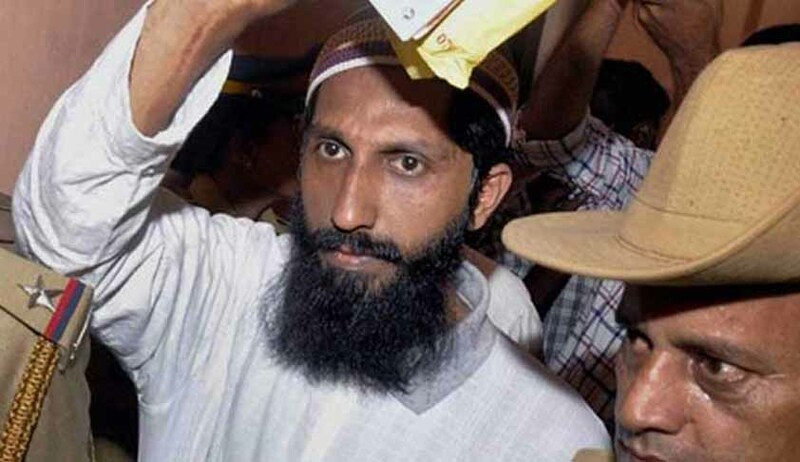 A National Investigation Agency (NIA) Special Court in Kochi yesterday awarded life imprisonment to 13 convicts including south Indian commander of Lakshar-e-Taiba, Thadiynatavide Nazeer (pictured) in the infamous Kashmir recruitment case. Among the 13 convicts, Sarfaraz Nawaz, Abdul Jabbar and Sabir P Buhari will have to undergo double life imprisonment. Three youngsters were shot down in an encounter with the Indian Army while they were trying cross the border into Pakistan-occupied Kashmir, in October 2008 . Another one was shot down a week later and one escaped arrest. The fifth who escaped arrest was later arrested from Hyderabad. It turned out that all these youth were from Kerala and they were recruited for terrorist activities under the disguise of religious studies. Vijayakumar is an alumnus of Government Law College, Thiruvanthapuram and joined the Kerala Judicial Service in 1988. He took charge as the NIA Special Court judge in 2009. Vijayakumar was supposed to retire in April 2013 but he was given an extension of six months to complete this case.